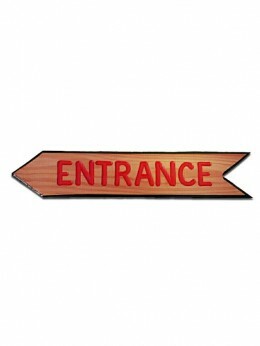 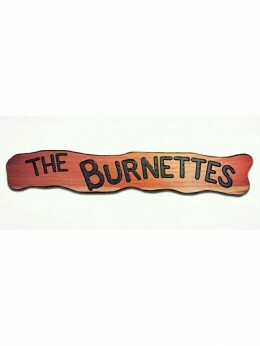 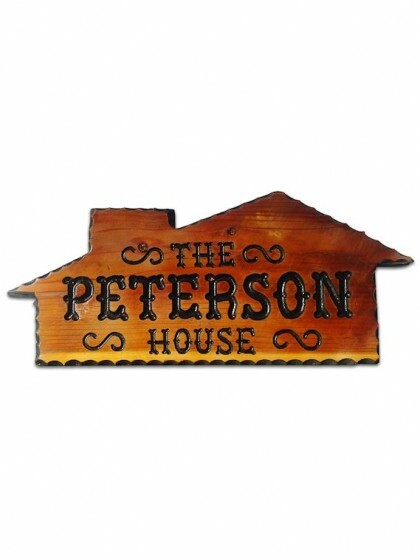 Handcrafted from 12″ Redwood, this unique house design has 2″ and 3″ black western lettering, decorative scrolls and a black scalloped edge. Lettering and artwork may be customized. Additional charges may apply.